Great Scott! Today is future day! Do you know what day today is? It’s Back to the Future day! That’s right, Marty McFly and Doc Brown traveled to October 21, 2015, and that’s exactly today – we’re living in the future, ladies and gentlemen. 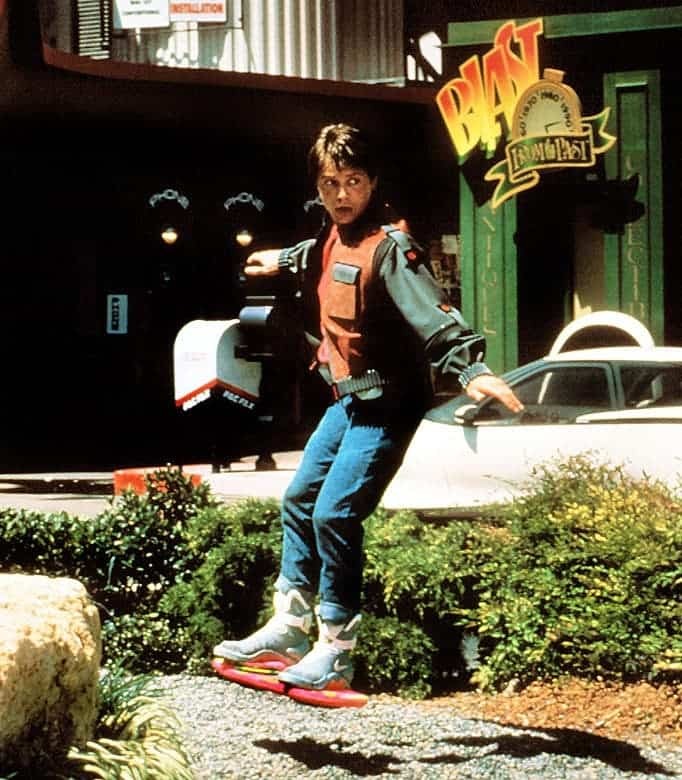 Marty McFly, portrayed by Michael J Fox, immortalised the concept of the hoverboard in Back to the Future II. Image via Universal Pictures. If you’re extremely confused by now and have absolutely no idea what I’m talking about, this is a reference to a memorable movie, Back to the Future (to be more precise, Back to the Future 2), a science fiction film directed by Robert Zemeckis starring Michael J. Fox and Christopher Lloyd, who travel in past an in the future using a modified DeLorean. The movie came out 30 years ago, and they got quite a lot of things right about the “current future”. 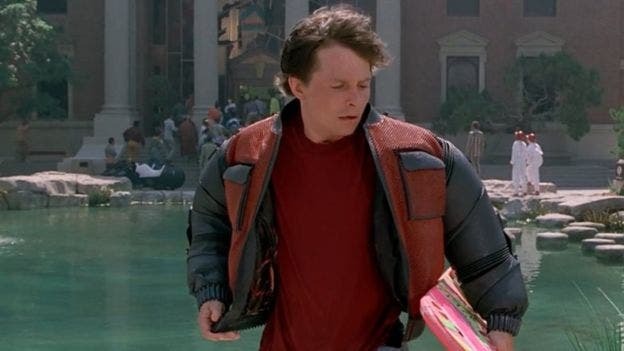 Several companies are working on a real hoverboard, just like the one Marty uses, but we don’t really dress like they did in the movie future. 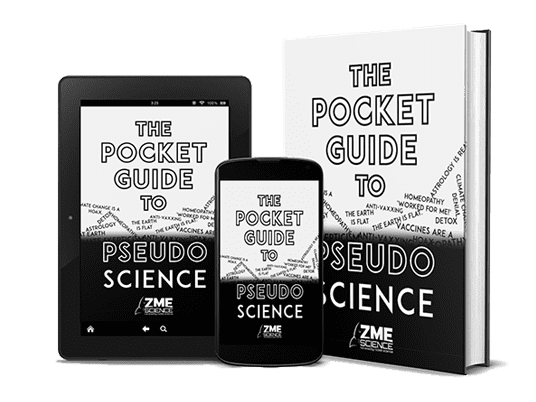 They also didn’t anticipate the development of the internet and mobile phones, but they nailed thumb scanners and hi-tech wearable technology. 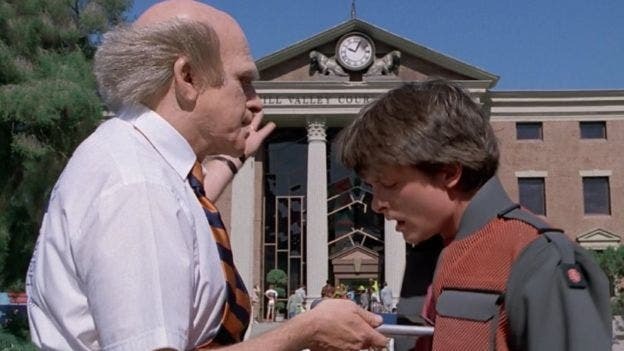 All in all, they did pretty OK.
Marty McFly looks into what appears to be a tablet in his bid to restore Hill Valley’s clock tower in 2015. Image via Universal Pictures. He also said legal issues are preventing some of the inventions predicted by the movie. Several companies and even science organizations are doing celebrations for the movie. The National Space Centre in Leicester is hosting a Back to the Future night, while Nintendo has released Nintendo has released Wild Gunman, the arcade game that Mcfly plays in Cafe 80s. Pepsi has also revealed 6,500 limited-edition, tiny bottles of Pepsi Perfect, the vitamin-enriched variety of cola the pair drinks in the future.